Alongside its three new drivers, Cobra has introduced its new Fly-Z fairway woods and hybrids that feature all-new Speed Channel Technology for more forgiveness. Available in the same three categories as the driver - Fly-Z, Fly-Z+ (fairway woods only) and Fly-Z XL – the Speed Channel is ‘an engineered trench’ that surrounds the face to help minimise face thickness and provide increased ball speeds across the face that result in more distance. They also have a thin, high-strength 465 stainless steel face plate insert that makes the Fly-Z sweetspot 20% larger and 18% thinner than previous models. Crown Zone Weighting has also been added to the Fly-Z products by removing weight from the crown and repositioning it low and back in the clubhead for a low, deep centre of gravity. Featuring a low, back centre of gravity placement, the Fly-Z fairways and hybrids are designed for forgiveness and deliver the optimum combination of a low centre of gravity and higher ball speed. This position combined with the new Speed Channel provides even more ball speed and distance on off-centre hits. 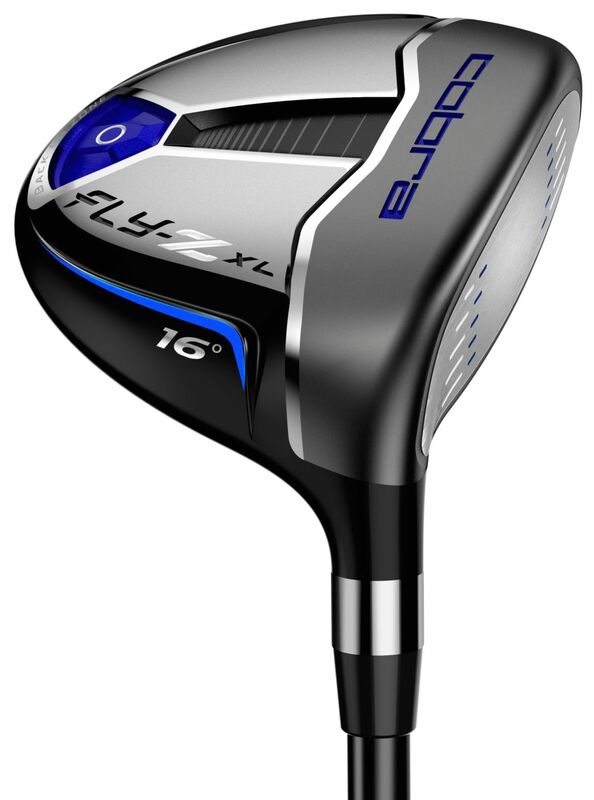 The Fly-Z fairways feature a high strength steel insert that allows for a larger, thinner face, which enables more face flex for faster ball speeds, longer distances and higher trajectory. 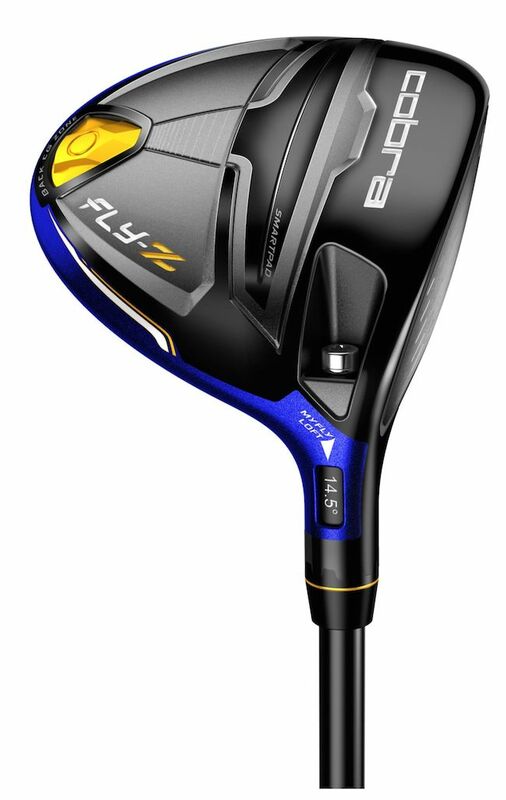 The Fly-Z+ fairway woods feature a tour-inspired compact head designed to deliver maximum distance from the tee or fairway with accuracy and control. By combining the stainless steel tour head and the new Speed Channel Face with front centre of gravity Zone Weighting, the Fly-Z+ provides even more distance with a fairway wood. It also features Cobra’s proven technologies including Forged E9 Zone Face Weighting, and MyFly8 and SmartPad adjustability. These fairways and hybrids are perfect for the golfer who is looking for ‘easy distance from anywhere’. Incorporating a low, back centre of gravity, the Fly-Z XL fairways and hybrids have an offset head design to maximise launch, while the Speed Channel Face offers more forgiveness and distance from the fairway.